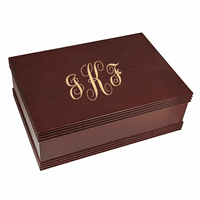 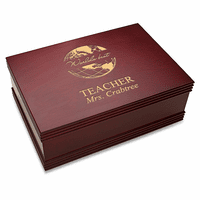 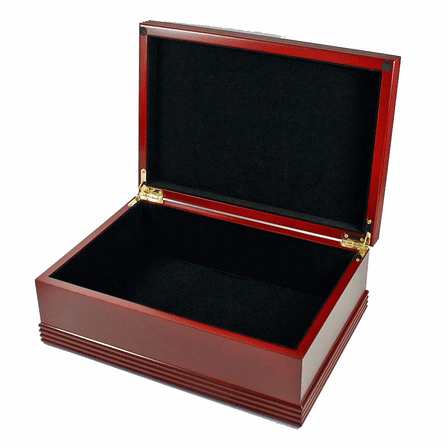 This executive rosewood-finish stationery box is an elegant gift for the home or office, and can be used to hold stationery, desktop items, letters and keepsakes. 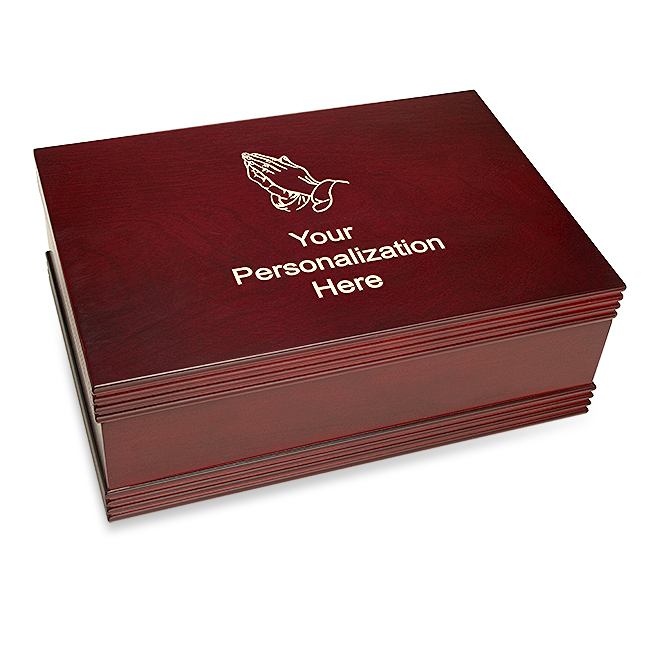 The box features our laser-engraved Praying Hands design, and can be personalized for free, with up to 5 lines of engraved text, personal information, or inspirational message. 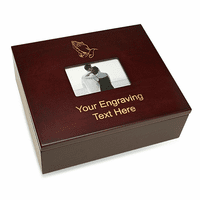 The box is a special gift for graduation, wedding, promotion or any special occasion, and comes packaged in a gift box.